flatbed shoe machines Archives - Global International B.V.
Searching for the best Flatbed shoe sewing machines? Global offers flatbed shoe machines which are used to produce the shoe upper of all kinds of shoes. This is an addition to certain production lines. The Durkopp Adler Company produces the Global DA 887 Flatbed shoe sewing machine. This solid machine is fitted with a wheel feed, needle-feed and driven roller press. 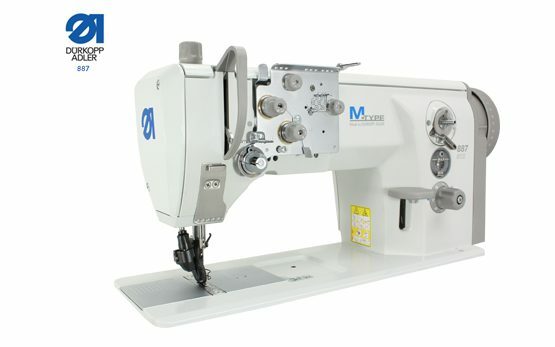 And depending on the model, this machine can be fitted with an automatic thread trimmer and back tack for easier handling and better stitching results!